The new core banking platform, Aurius, supplied by UK-based fintech vendor Sword Apak, has ousted Misys’ Bankmaster at Julian Hodge Bank. Aurius is now fully live at this privately-owned bank in Cardiff, Banking Technology understands. The implementation started in spring 2014 and was initially expected to last 12 months. However, in reality the project took twice as long to complete. Aurius covers front-to-back office operations at the bank. Some limited internet banking functionality, such as the online application process, was built as part of the project. Speaking at the start of the venture, Dave Gilleland, deposits manager at Julian Hodge Bank, noted that due to the nature of the bank’s business and products, full internet or mobile banking were not “day one” requirements. Julian Hodge had been running Bankmaster since 1999. It was looking informally at various systems since 2006, but a review in 2013 confirmed that its existing system could not adequately meet the bank’s requirements for growth in the coming three to five years. Bankmaster is maintained but no longer developed by Misys, so a number of applications had to be built around the core over the years. Sword Apak with its Aurius offering was among twelve candidates on the long list and then four on the shortlist. 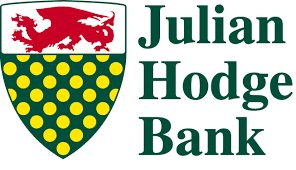 According to David Austin, managing director of Julian Hodge Bank, it was important that the new supplier understood the bank’s business specifics and could support the existing product range. The bank’s proposition comprises three business lines: deposits, commercial lending and retirement products. It has high numbers of term deposits and ISAs. Its commercial lending business is smaller, but the products are more bespoke. Other key requirements included modern system architecture, ease of use, and an organisational and cultural fit between the bank and the vendor. Crane Bank, a failed bank in Uganda, spent millions of dollars on IT services and software that was never supplied, according to a report by PricewaterhouseCoopers (PwC) into the bank’s mismanagement.